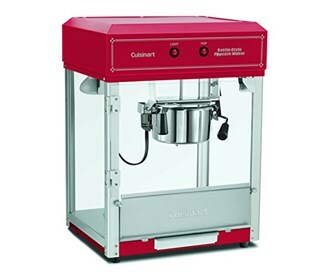 The Cuisinart Popcorn Maker is a kettle style popcorn maker. With this you can give people what they want, in just about 2 minutes. The heat lamp keeps popped corn warm. The Cuisinart Kettle Style Popcorn Maker has many exciting features for users of all types. 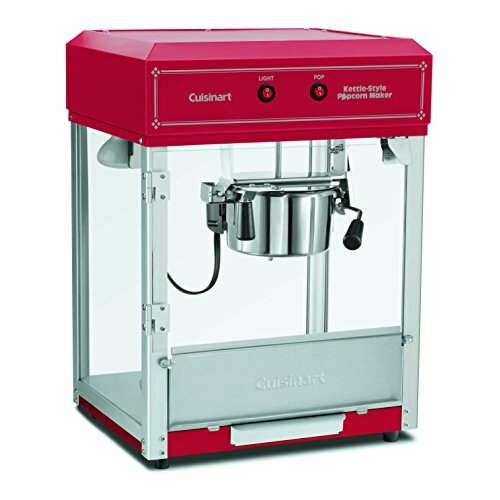 You can extend the lifetime of your Cuisinart Kettle Style Popcorn Maker with the purchase of a FactoryOutletStore Factory Protection Plan. See the Cuisinart Kettle Style Popcorn Maker product video and gallery images above for more details. The Cuisinart Kettle Style Popcorn Maker is sold as a Brand New Unopened Item.